Water constitutes the principle of all things .. Water is everything. And water returns things to how they were. 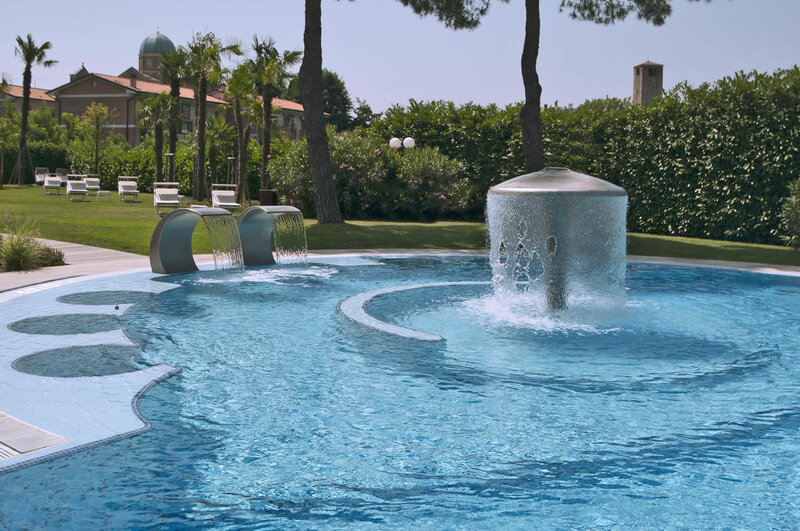 The pool area of the hotel Esplanade Tergesteo is a true oasis of relaxation and well-being at the centre of Montegrotto Terme. 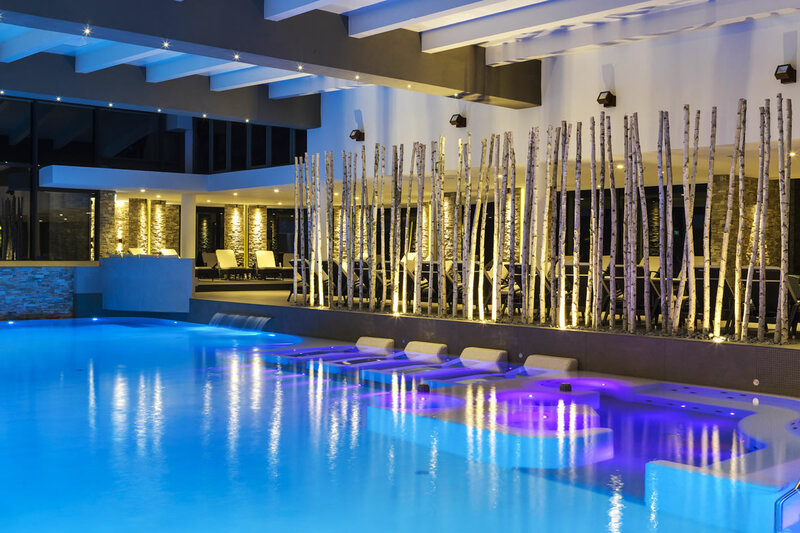 Immerse yourself in the soothing water of our pools and recharge your vitality and energy. 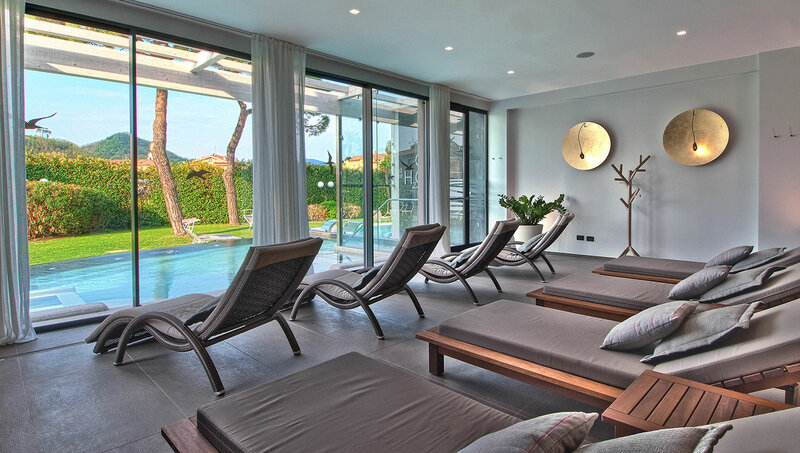 The completely renovated indoor pool inspires guests with its whirlpool area with benches, chairs and hot tubs, and is surrounded by a large relaxation zone with loungers by the poolside. The choreographic design of the lighting effects under water will take you into a dream world of total relaxation. You can enjoy views of the hotel gardens through the windows letting in tonnes of sunshine. 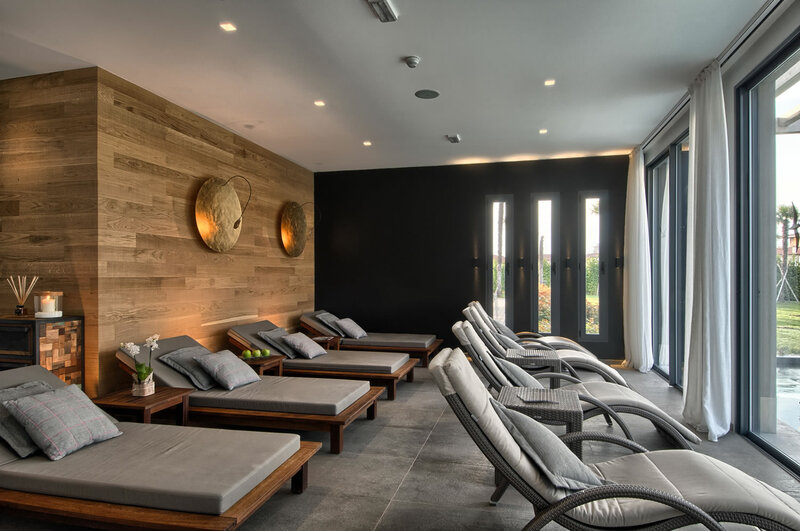 The outdoor pool is in communication with the indoor pool and offers Jacuzzis, a neck shower, hot tubs and a Japanese path – everything you need for massages and deep relaxation of the muscles. Surrounded by the lush tranquil gardens, you will enjoy pure peace and relaxation while staying at the hotel. 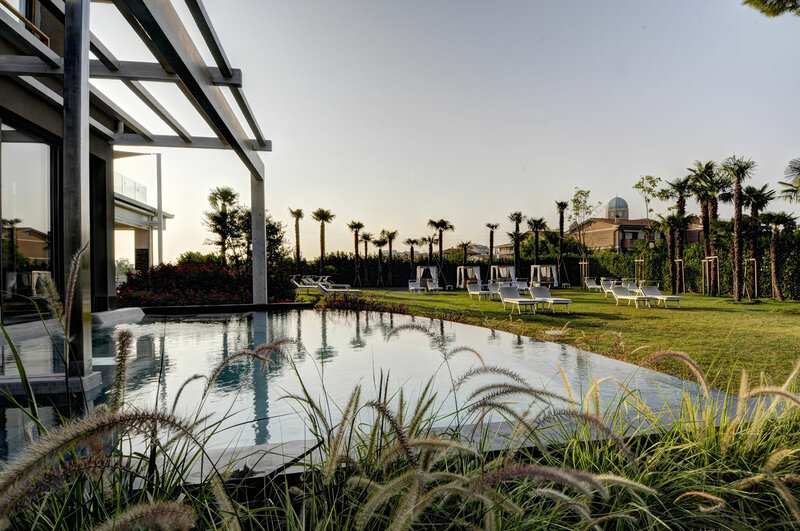 Both pools come with a water temperature of 34 to 36°C and are open until 11 p.m.
A highlight is undoubtedly the innovative and spectacular RoofTop54 where the only panoramic saltwater pool at Terme Euganee is located. The water temperature here is 30°C in summer and 35°C in winter. Plunge into this panoramic swimming pool at our 5-star hotel and benefit from the positive effects of sea water while your eyes enjoy the unique view of the Euganean Hills. Find out more about RoofTop54 on the dedicated webpage. The hotel also features a new H2O3 pool, a thermal whirlpool where you are surrounded by ozone microbubbles. How does that feel? As if you were immersed in a glass of champagne! Ozone has a detoxing and toning-up action which involves an anti-aging effect, and helps blood circulation, it also induces relaxation on the body and mind.